New South Wales boasts Australia’s premier research and higher education infrastructure. The state is home to 11 universities, including Australia’s oldest public and technical tertiary institutions. Academic staff members are recruited from around the world and are often leading experts in their field. 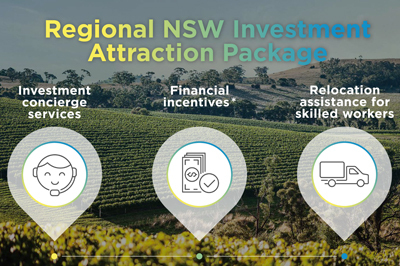 In addition, NSW offers quality and choice in vocational education and training (VET). The growing VET market is forecast to be worth A$10 billion by 2019–20. The state has almost 1,200 community-based and private registered training organisations (RTOs). It also has TAFE NSW, which is the largest public VET provider in Australia and one of the largest in the world. Students attending the state’s TAFE institutes and private VET providers earn qualifications that are internationally recognised. They also gain access to pathways into local industry and higher education. NSW remains the most popular Australian destination for VET, with more than 72,000 international students enrolled in 2015. It is also home to about 40% of enrolments in English-language colleges – the highest of any state in Australia. Students in Sydney and regional NSW are spoilt for choice. The state’s universities, colleges and TAFE institutes offer thousands of courses across a wide array of subjects designed to complement students’ academic and career goals. Many courses can also be tailored to suit students’ individual interests. A large number of international students take advantage of NSW’s proximity to Asia, undertaking masters’ degrees in business administration to develop a deeper knowledge of Asia-Pacific markets and business pathways. In addition, NSW offers a wide range of English-language courses at private colleges, vocational institutes and universities. Around 58,000 international students were enrolled in English-language courses across the state in 2015. In NSW, education providers and courses are regularly accredited through an independent and transparent system. Students can be confident in the quality of the courses they undertake, and this transparency helps improve education outcomes. In addition, education institutions are subject to high-level accountability for their financial practices and must also comply with government and industry policies and regulations. NSW was the first state in Australia and the second worldwide to introduce a policy of welcoming cultural and linguistic diversity, acknowledging the social and economic advantages it provides. This policy is reflected in the state’s approach to education delivery, which promotes respect and inclusiveness. The state has built strong links overseas by marketing NSW as an education destination. When international students arrive, it provides support to ensure they feel welcome. English-language colleges assist students to achieve the skill level they need to complete their studies effectively. Public and private primary and secondary schools across NSW offer an excellent learning environment, with the state’s students performing well above the OECD average in reading, and mathematic and scientific literacy. Safety and transparency is an integral part of NSW school systems – whether public or private. Class sizes are small, resourcing and infrastructure is superb, and teachers are highly qualified and motivated.